Fatty fish like salmon, mackerel, sardines and tuna are loaded with omega-3 fatty acids, which have been studied extensively for their heart-health benefits. In one study in 324 people, eating salmon three times a week for eight weeks significantly decreased diastolic blood pressure. Another study showed that eating fish over the long term was linked to lower levels of total cholesterol, blood triglycerides, fasting blood sugar and systolic blood pressure. Additionally, each 3.5-ounce (100-gram) decrease in weekly fish consumption was associated with a 19% higher likelihood of having one additional risk factor for heart disease, such as high blood pressure, diabetes or obesity. If you don’t eat much seafood, fish oil is another option for getting your daily dose of omega-3 fatty acids. Fish oil supplements have been shown to reduce blood triglycerides, improve arterial function and decrease blood pressure. Other omega-3 supplements like krill oil or algal oil are popular alternatives. 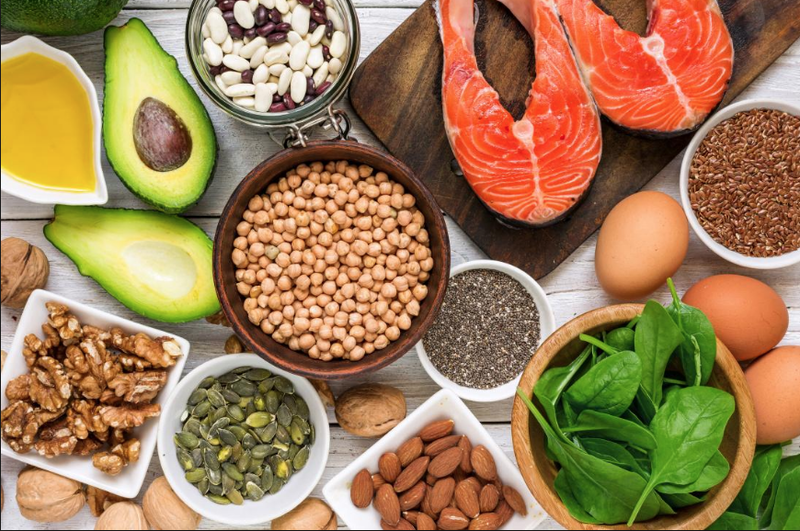 Fatty fish and fish oil are both high in omega-3 fatty acids and may help reduce heart disease risk factors, including blood pressure, triglycerides and cholesterol.